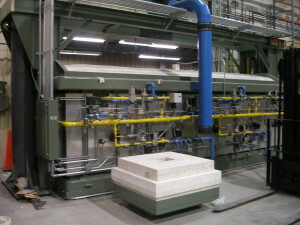 Advanced High Temperature Kilns for 1800 Celsius are Gas Fired System designs introduced by Unique/Pereny, a Division of HED International. 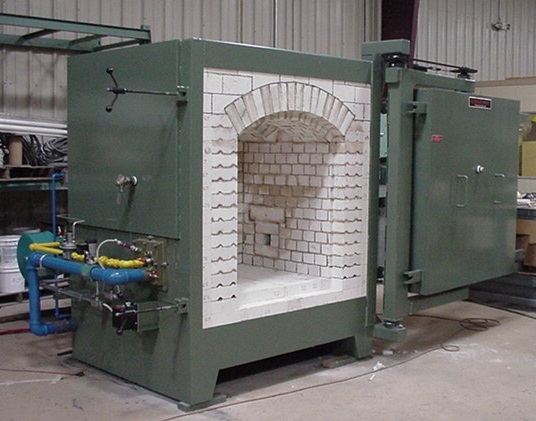 These kilns are made specifically for applications demanding superior precision, accuracy, reliability, versatility and durability. Aerospace Industry 1800 Celsius requirements are for the production of more advanced high temperature components and thermal protection systems (TPS) for spacecraft, reusable rockets and engines. These are being met by the routine use of Unique/Pereny Advanced High Temperature Kilns. Unique/Pereny Gas Fired Kilns enable efficient thermal processing with precisely controlled stoichiometric, oxidizing and non-oxidizing atmospheres in ppm required to produce advanced ceramics, ceramic matrix composites and to transform polymers to carbon. Combustion controls and analysis systems, programmable temperature controls and pressure controls assure carbonization/pyrolysis, binder burn off and sintering to meet all process requirements. A kiln camera system is available to take real time color video of the thermal process inside the kiln for viewing remotely. The Cool Skin placed on the kiln exterior moderates the kiln surface temperature and adding an After-Burner incinerates exhausted products into environmentally safer emissions. Unique/Pereny engineers have advanced kiln design for over 80 years along with steadfast technical product support worldwide. For more information, call (609)466-1900 ext.124 or email to info@hed.com. Manufacturing systems for the production of high performance ceramic matrix composites (CMC) are being supplied by HED International, Inc. These systems are being utilized by the world’s foremost manufacturers of CMCs to meet the $15 billion annual demand for advanced ceramics for efficient aerospace and marine gas turbines and other power generation applications. CMC technology consists of combining ceramic fiber mesh and matrix material utilizing thermal processes to produce parts with superior thermo-structural properties. Thermal process equipment developed by HED to meet all these manufacturing system requirements include performance proven Pro-Cast Tape Casting machines, U/P Rotary Tube Furnaces, Gas and Electric Fired high temperature Kilns. Press Release – July, 2016. TDDS Transdermal Delivery Systems are being successfully developed, scaled up and produced by pharmaceutical firms and the Federal Drug Administration on Procast and Labcast Tape Casting Machines supplied by HED International, Inc. The TDDS patch and tape products are branded drugs and generics which avoid first pass metabolism which can result in greater drug bioavailability. 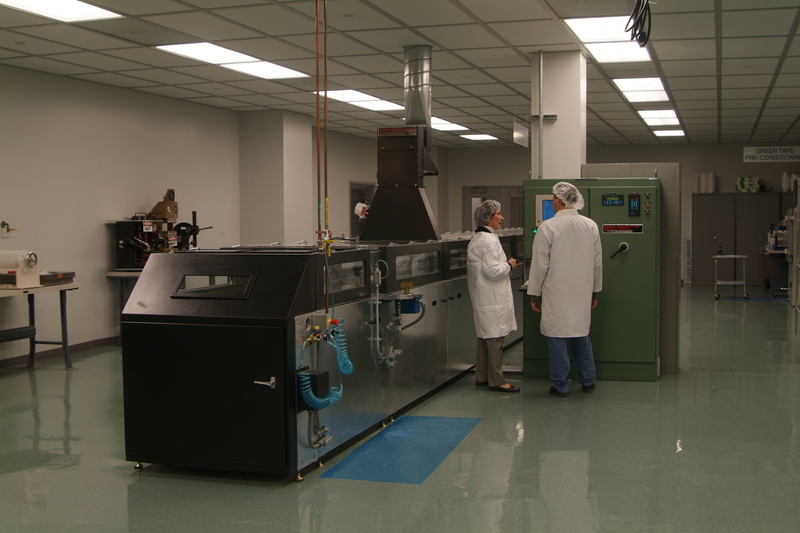 Procast’s precision controlled casting, polymer web conveying and convection drying capability enables the integration of adhesives and drug components into a single, simple drug delivery system. Lamination of the polymer carrier and back up strips are done ready for die cutting and packaging. HED has the proven experience, product quality and service needed to successfully develop and commercialize many engineered biomedical materials and products. PRESS RELEASE – June 28, 2016. Unique/Pereny Hi-Tech Kilns add productivity for the foremost producers of proprietary materials that provide secure in package and on package authentication solutions worldwide. This includes applications for brand protection, fuel grade marking, bank notes security and pharmaceutical authentication. HED International, Inc. has provided kilns to reliably increase production of a range of fired powders designed to be applied in ways that identify and or authenticate many consumer products, currency and other everyday items. These kilns have added productivity that has resulted in thousands of dollars of more product per kiln load. HED engineers form partnerships with all clients to increase their productivity, profit and find solutions that fit. Ringoes, NJ, May 25, 2016 – A Procast Tape Casting/Coating Machine designed and manufactured by HED International, Inc. will be used by a leading contract research and development group for the production of coated, layered cast tape and film produced to precision tolerances up to 48″ (1.22 Meters) wide for aerospace applications. The machine design enables the use of a wide range of feed material composition, viscosity and metering systems including doctor blades, meier bars/rods, rolls, and slot dies. Delivery of the tape caster is scheduled for July, 2016. HED Engineers and scientists form long term partnerships with clients to bring together many years of expertise in material preparation and fluids designed for advanced cast and coated products. 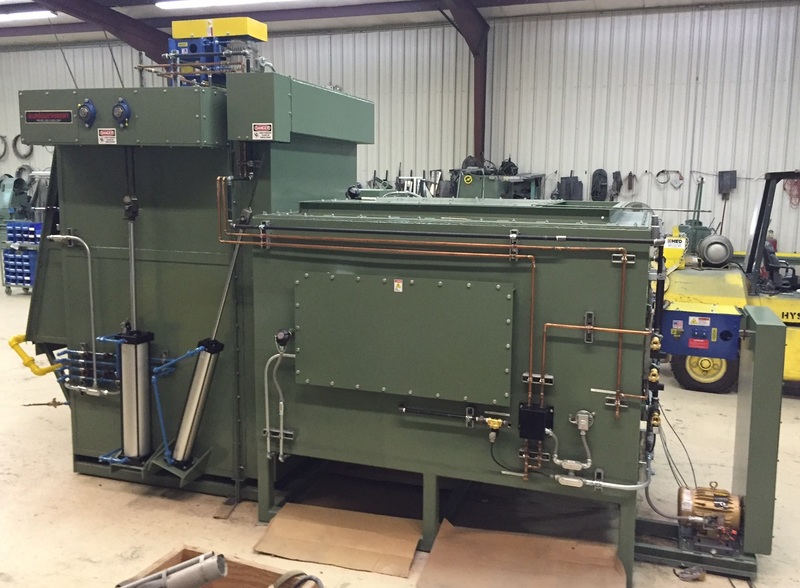 PRESS RELEASE – May 6, 2016 HED International, Inc.
A Major U.S. Aerospace Contractor has selected HED International to supply the same Unique/Pereny atmosphere tight integral heat treating equipment previously supplied. Their application requires the utmost in dependable precision (+/-10C) and proven efficiency (300 to 1500 lbs/cycle) recognized as the decided advantages of these HED process heat systems. These furnace designs incorporate automated loading and unloading, controlled heating and cooling under pressure atmosphere conditions. Delivery is scheduled to begin in early June of 2016. Ringoes, New Jersey, October 28, 2013. HED International, Inc. today announced the introduction of the world’s most compact laboratory bench scale tape casting and coating machine. 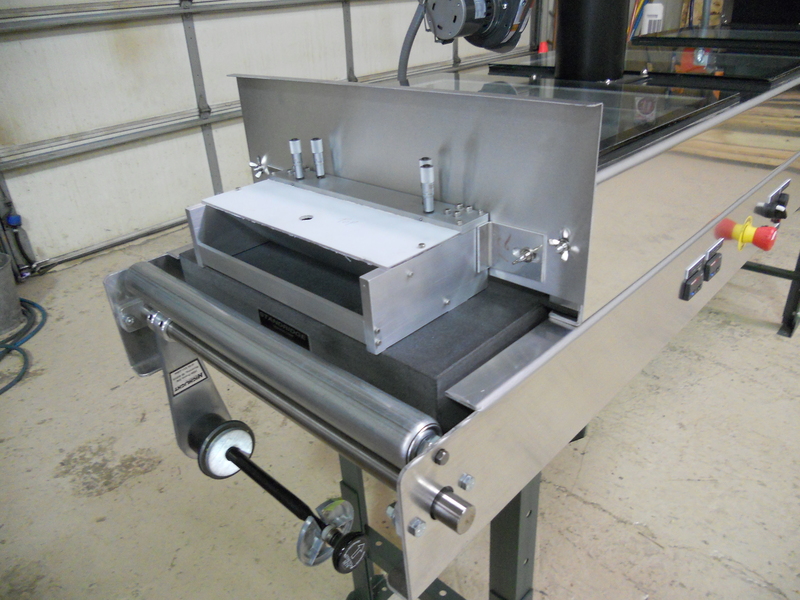 The new LabCast Model TC-41LC tape casting/coating design is smaller in size [32″W x 70″L x 36″H (70″H on included support legs)] yet combines all of the best features of HED’s popular TC-71LC and larger ProCast production machines. HED International, Inc. is the world’s leading designer of a wide range of tape casting and coating machines being used for research and development as well as production by the foremost manufacturers of electronic, photonic, medical, plastic, adhesive and coated products. From this experience, HED engineers have combined in a compact format a precision granite casting/coating surface, continuous web speed control, web and product take-up, convection and infrared drying adaptable to various applicators. This compact LabCast machine can be used to evaluate castings and coatings on web substrates such as polymer film, metal foil, textiles and paper using slurries, suspensions, paints, adhesives, and other coatings. “Our customers have asked us for a more compact laboratory bench scale machine and we have responded by developing this easy to used and affordable tape caster as part of our successful LabCast product family.” said Jim Dennis the CEO of HED International. Ringoes, N.J. January 15, 2013 – HED International, foremost designers of advanced thermal systems are developing rotary furnaces with Rutgers Material Science Engineers for processing nano powders. The goal is production of advanced submicron particle size material under precisely controlled thermal and atmosphere conditions to make stronger, lighter, energy efficient ceramics and metals. The HED RTC Rotary Furnace Atmosphere Sealing System (TSS™) designed for this project is an exclusive Unique/Pereny design featuring gas purged, double mechanical seals capable of operating with near zero pressure losses and system air ingress for the best performance, efficiency and safety available. Seal performance may be continuously monitored and adjusted simplifying routine maintenance and maximizing seal service life. The TSS™ sealing system is designed for processing a wide range of materials and atmospheres including some which may be reactive, flammable, or explosive. The thermal rating up to 1800*C is available with precise control of atmosphere and temperature gradient profiles. To learn more about HED or RTC Rotary Furnace applications and other HED products email your inquiry to info@hed.com or call us at (609) 466-1900. Newswire – September 2012, The UNIQUE/PERENY IRQ series heat treat and hardening furnaces are performance proven for processing precision, high value parts required for the most demanding military and commerical aerospace applications. IRQ furnaces feature seperate heating and cooling chambers each with high temperature, water cooled fans. A temperature rated alloy muffle with integrated convection heating provide temperature uniformity in the product load within +/- one (1) degree celsius. For precise, reliable and repeatable performance for each and every part fired you can depend on UNIQUE/PERENY(R) IRQ furnaces. UNIQUE/PERENY is a registerd tradmark of HED International, Inc. HED International is a leading supplier of advanced, specialty thermal process systems worldwide.